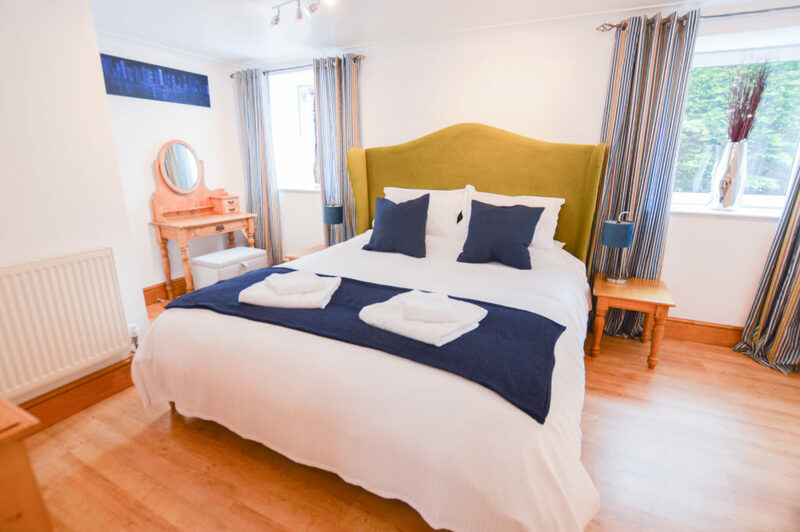 INTRODUCTORY OFFER BOOK BEFORE 30th April 2019 & RECEIVE 15% DISCOUNT ON 2019 DATES CALL 01872 561642 & ASK FOR RESERVATIONS! Water’s Edge is a large and unique holiday house sitting alongside the picturesque Tresillian River, in the creekside village of Tresillian, mid Cornwall. 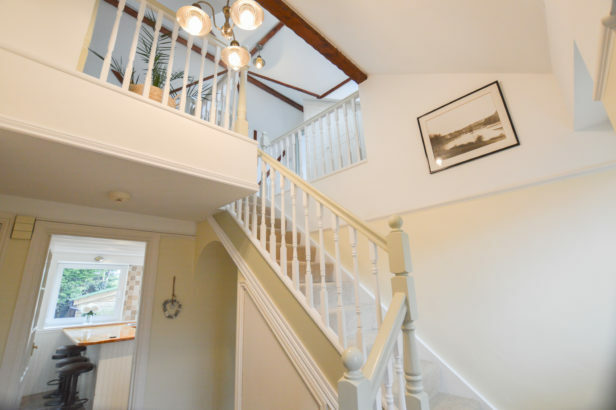 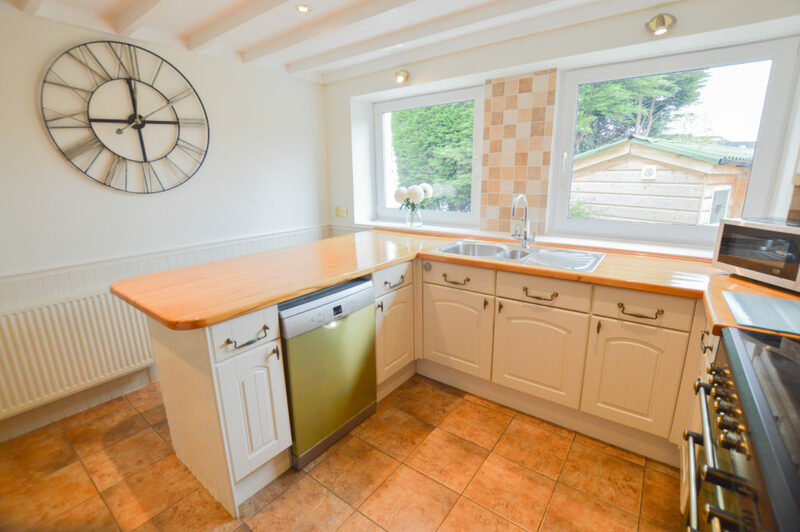 This characterful property is ideally placed for exploring the wonderful local attractions, golden sandy beaches and coastal paths. 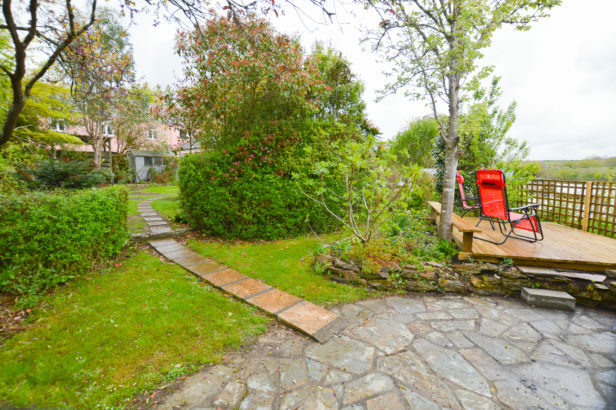 The mature garden leads down to the water’s edge, where you can take in the wonderful views, abundance of wildlife and numerous birds including kingfishers, wildfowl and ducks. 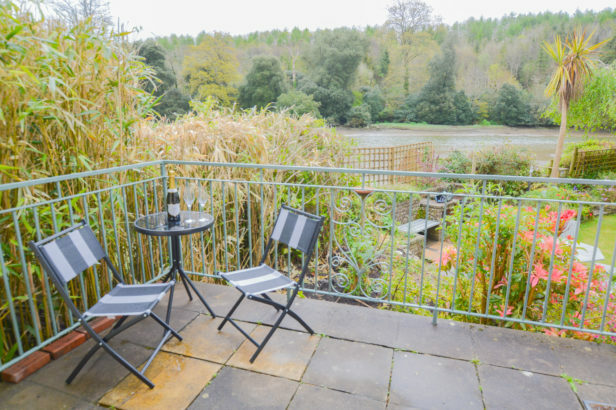 Across the river is the estate of Lord Falmouth, Tregothnan, where deer come down to the river and on occasion otters have even been spotted. 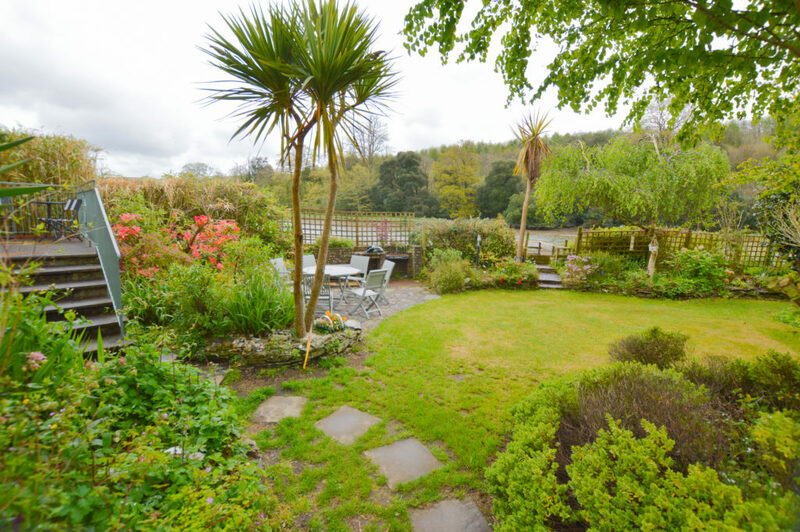 Only three miles away is the cathedral city of Truro with it’s plethora of charming boutique shops, restaurants and cafes. 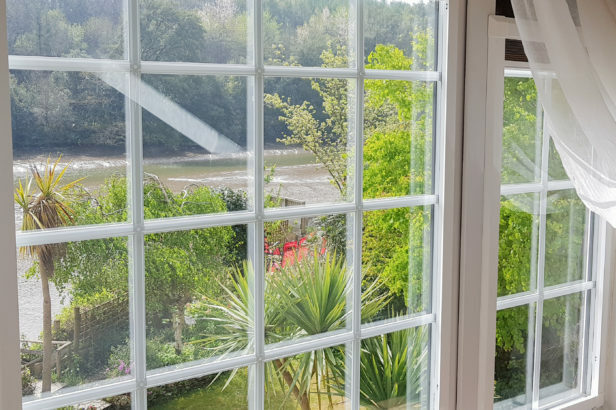 This spacious property has a large sitting room with a dining area, which both have views across the gardens and down to the river. 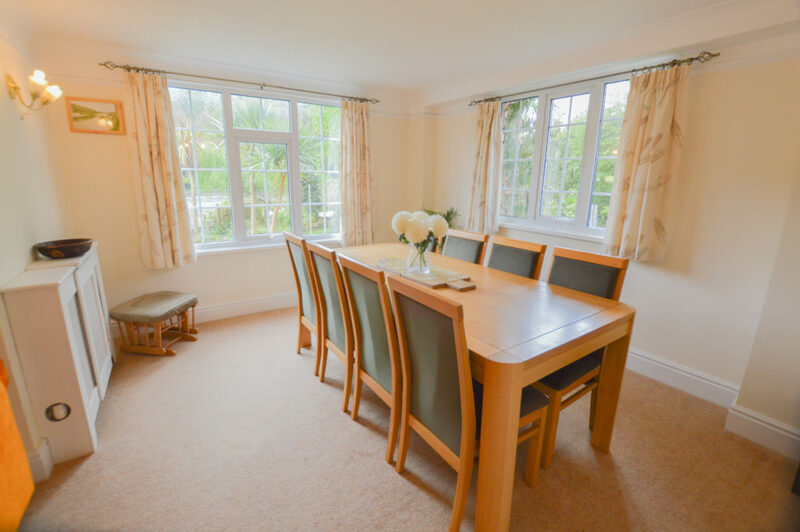 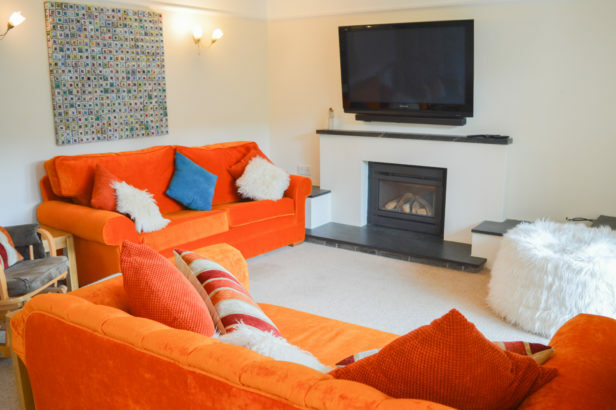 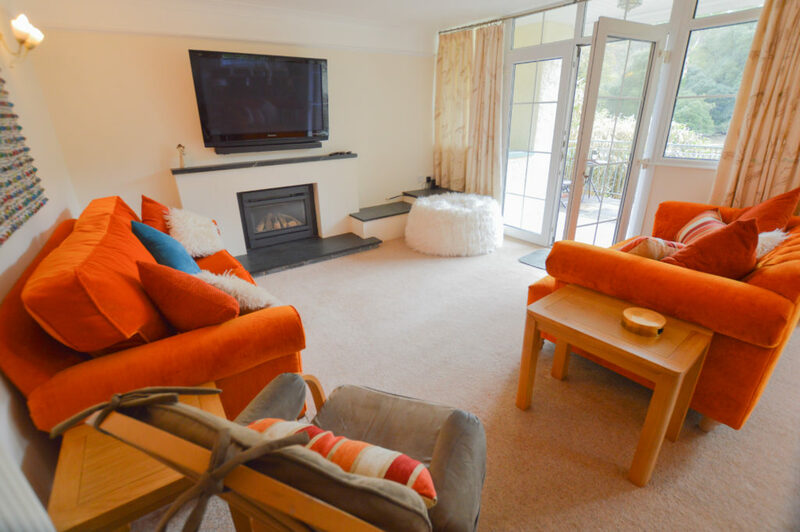 The sitting room has a TV and and doors out on to a suntrap patio with glorious views and leads down to the lawn. 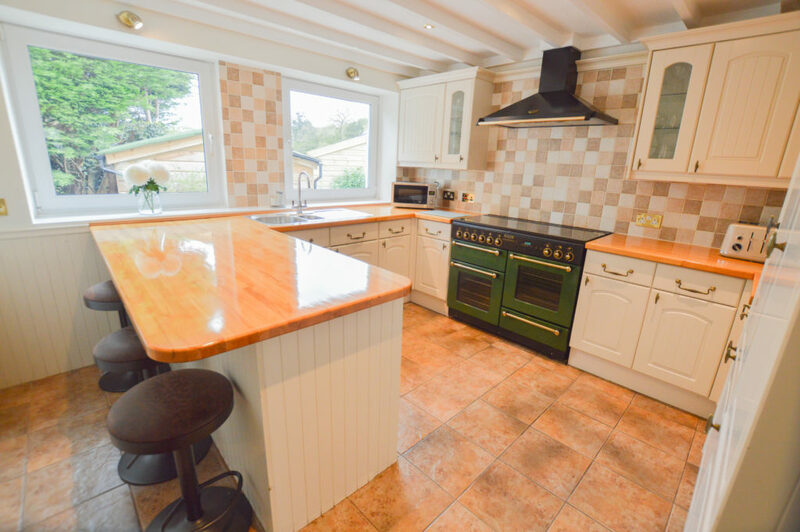 The kitchen is well equipped and has a range cooker with double oven, dishwasher and fridge/freezer, there is a useful separate utility room with a washer/dryer. 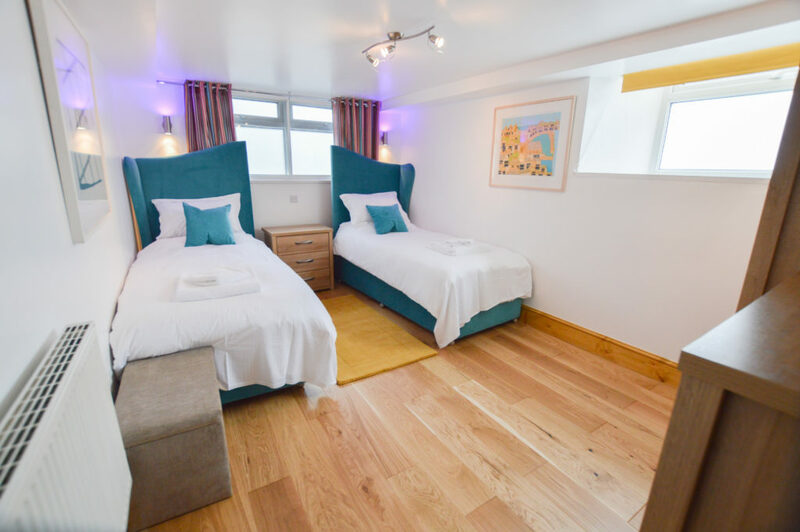 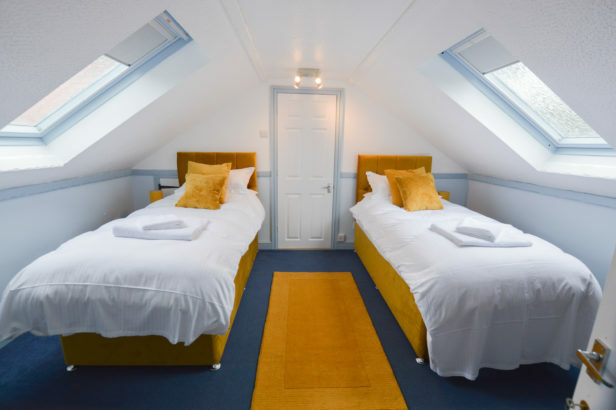 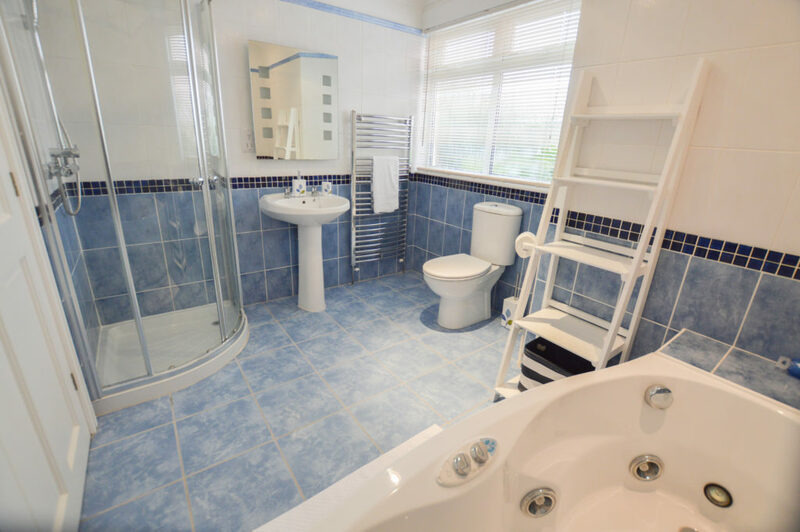 There are two bedrooms on the ground floor, one with twin beds which can be set up as a super king bed upon request, this room has an adjacent shower room. 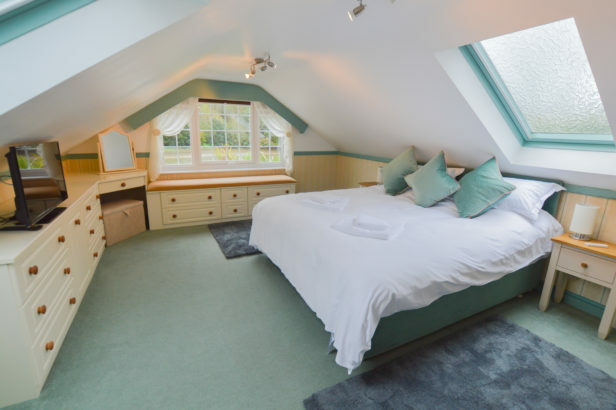 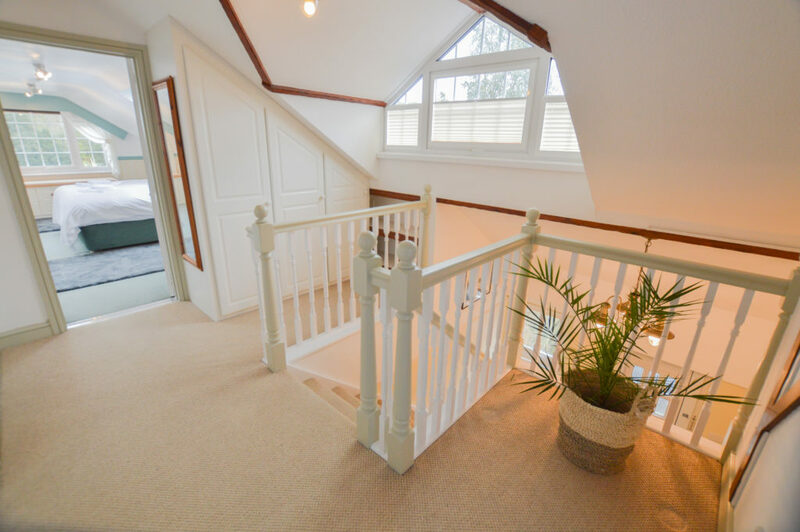 The second ground floor bedroom has a fabulous super king bed, there is also a family bathroom with spa bath and separate shower cubicle on the ground floor. 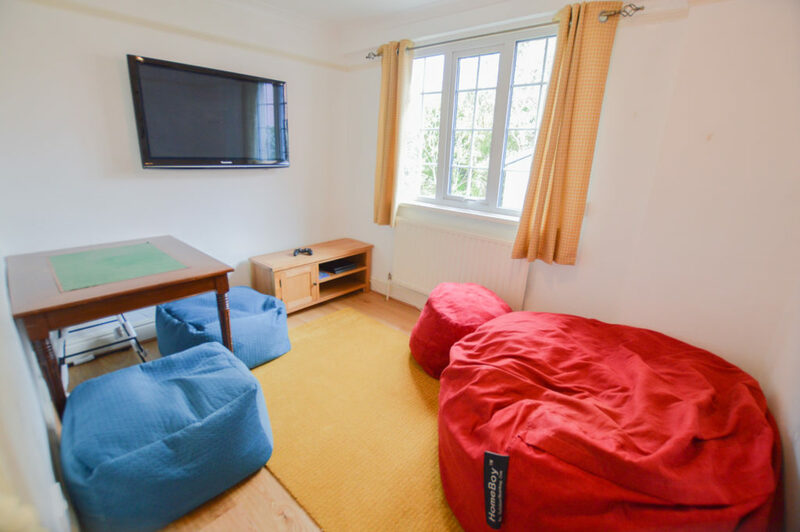 The addition of a games room with TV, DVD player, PS4, card table and board games is a bonus for those get togethers for family and friends. 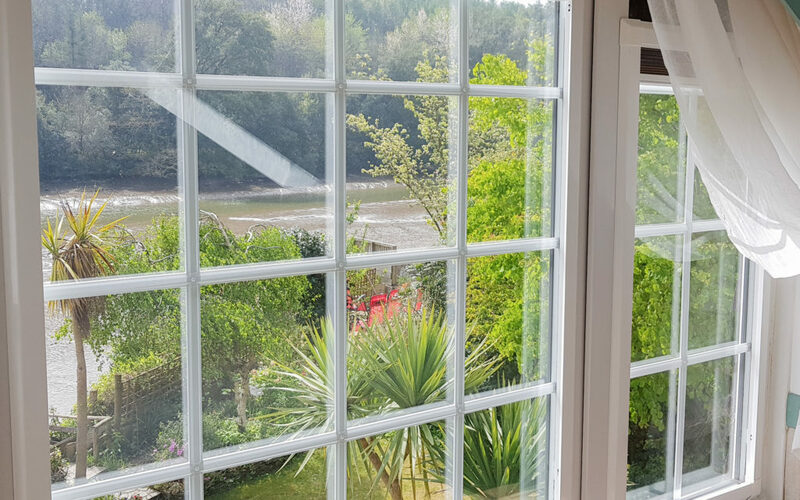 On the first floor, bedroom three is light and airy and has a super king bed and stunning vistas across the river and gardens. Bedroom four has twin beds and there is another family bathroom on this floor. All bedrooms at Water’s Edge have a TV. For those who enjoy river sports there is a small pontoon at the bottom of the garden which is suitable for kayaks, small rowing boats, canoes etc. 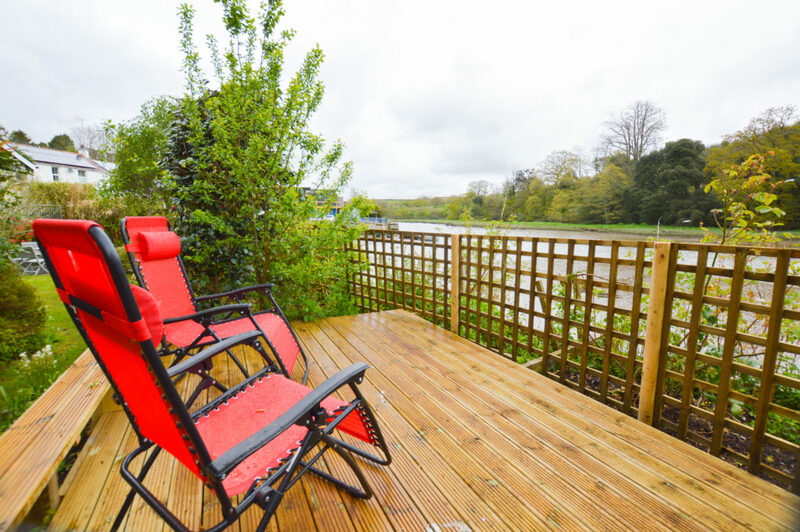 Those who prefer less active pursuits can take in the wildlife, beautiful gardens and fire up the BBQ! 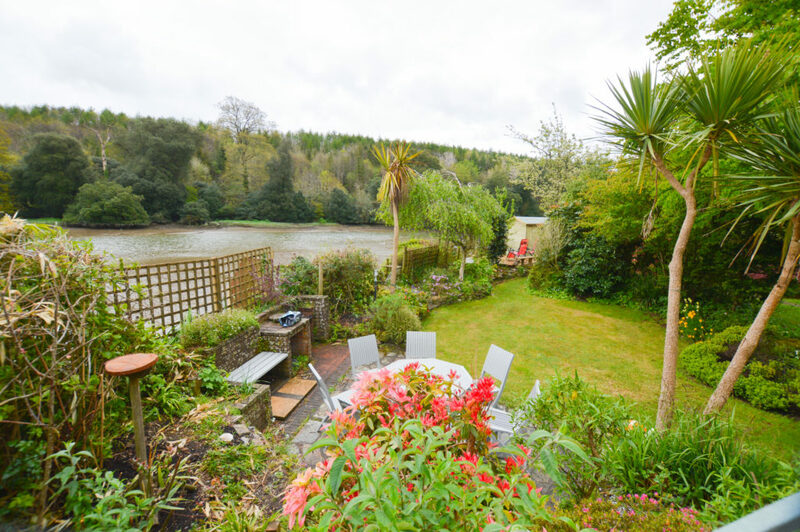 Well behaved dogs are welcome at Water’s Edge and there is parking for three cars, two in the car port and one on the driveway.